Losehill House is a spectacular location for your special day, including weddings, civil ceremonies, humanist ceremonies, civil partnerships and functions. With exclusive use of the hotel, this is truly a fantastic venue. We close the hotel for 24 hours for your exclusive use. Hosting your wedding in the amazing Orangery, champagne reception on the lawns, followed by a wedding breakfast for around 80 in the Orangery – where the food is really special. In the evening, welcome friends for a fantastic house party across the lounge bar and Orangery with up to 120 dancing to your own private band with over 50 of your guests staying the night. Why not take a swim and a dip in the hot-tub the following morning before you all enjoy a freshly prepared Derbyshire breakfast. But don’t take our word for it - come along the leafy lane and see for yourselves! We believe everyone is unique and we aim to tailor your wedding package to suit your requirements and help to make your day as special as possible. 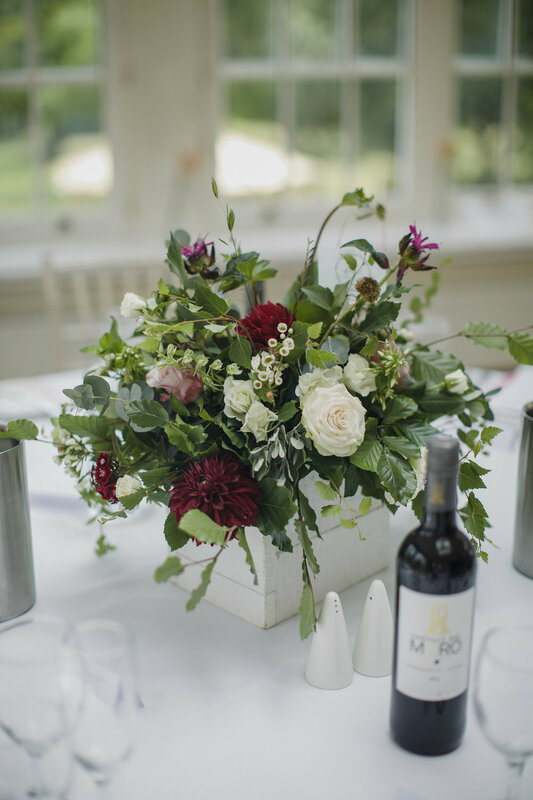 If you like what you see, sit down with our wedding co-ordinator and we will create a plan for you to consider which will form the basis of your wedding celebration at Losehill House. The Moorgate suite caters for up to 40 people. Ideal for an intimate wedding, civil ceremony and reception. This venue is available on a non exclusive basis and in respect to other guests only background music will be available as entertainment. 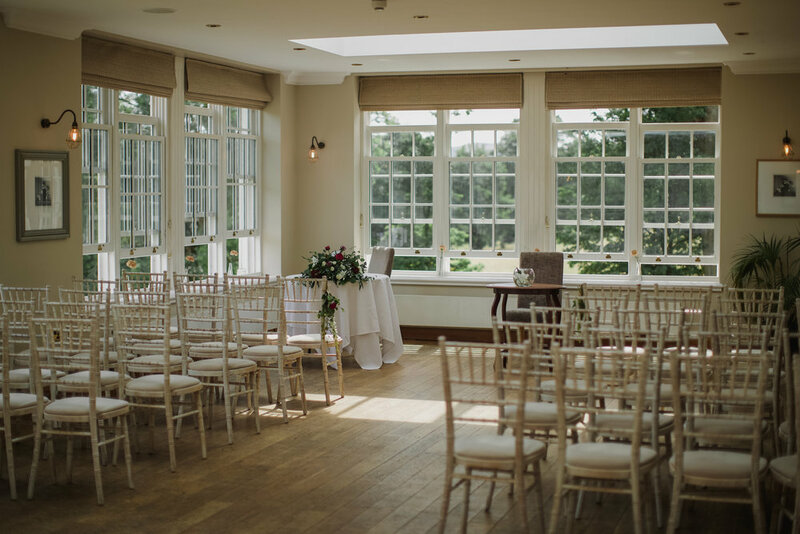 The Orangery caters for up to 80 people, ideal for a wedding, civil ceremony and reception. This spectacular venue will require you to take exclusive use of the Hotel to create a wonderful house party. Entertainment is available in the lounge area and evening receptions of up to 120 are welcome. A Marquee on the croquet lawn will create a fantastic venue to accommodate up to 120 guests for a sit down meal; the Orangery is available for a Civil Ceremony and the lounge areas for entertainment in the evening. Once again this scale of wedding will require the wedding to take exclusive use of the Hotel. Losehill is getting busier by the day and is now the wedding venue of choice in the High Peak. Dates are in great demand. For secluded and beautifully scenic winter weddings, we are offering a 15% discount for all our exclusive use packages from 1st November 2018 - 31st March 2019 (excluding Christmas & New Year week). The spa is also available for relaxing treatments the day before, or morning of the wedding. In response to the popularity of weekends we have introduced a fantastic midweek exclusive use package which applies for any wedding on Monday to Thursday starting at 50 people. Please call us for information. With thanks to Jess Petrie Photography & Tom Hodgson Photography for use of selected images on our weddings pages.